Click below to see BJJ Professor Benjamin Westrich giving a talk about training, fighting, and life. Routines are one of the most overlooked and underutilized tools for most competitions. Though you may have some sort of routine, or even worse – a ritual, you might not be preparing to your fullest. These routines, if done correctly, will allow you to compete at your mental and physical best at a much more consistent basis then you would normally be able to. Consistency is key when it comes to progress and being able to compete like you train. Not to be confused with superstition, routines are completely controllable by the athlete and –only- increase your performance. There are three types of routine areas we are going to discuss in this: 1- Training Routines. 2- Competition Routines. 3- Recovery and Re Prepare Routines. Training Routine – Training is where to develop and refine all your routines. This is where you make the necessary adjustments to bring the attention and intensity to the right levels during your training. Every part of what you do in training will require a different amount of each. 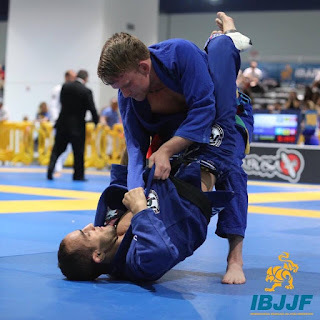 Do you need the same level of intensity when watching a technique as you do when competing or live rolling? Do you need the same levels of attention and/or are you focused on the same things when you grapple live vs flow drilling? In training is not only where you develop the routine but where you make these parts of your game normal. By normalizing your training and competing you take away the mysticism and anxiety to a large extent. The easiest example of a routine during training are the daily warm ups. There should be common elements between all of your daily warm ups which help create your competition routines. Pre Competition Routines – Before we talk about the elements of these routines, understand that it is basically just a longer and more thorough routine than your training routine. That’s right, it’s longer. The first step in designing a pre-competitive routine is to make a list of everything you need to do before a competition to be prepared. Some things to consider are mental, as we said before, for attention and intensity. For the people who are anxious, they may need to develop arousal control methods which calm them during their routine but for the people who compete at a hard immediate pace, both mentally and physically, they may need to ramp up their arousal levels using different cueing methods. This can be accomplish by speeding up or slowing down your breathing; by increasing or decreasing the intensity/speed of your movements; by self-talk or by music. However, do not try to control your intensity by being outcome driven, that will lead to increased anxiety. For your competition routine, it starts on the night before the competition. Make sure you have all your items packed and ready to go. Ensure that you are ready so that in the morning you do not increase stress by forgetting key items. Next you have to consider the time to arrive. Arriving too early could be detrimental but definitely arriving too late to fully do your routine is. Plan for the route, to include traffic and check in to the event. Also, the stress of events can increase your need to use the restroom. About an hour out from competition you will begin your warm up. Make sure you have a written down warm-up, step by step, to include the time you will do the exercise and its intensity levels. The intensity, as a general rule, will increase as the warming up progresses. Be sure to be finished on time to use some of the before mentioned tools to regain your proper arousal level and check your mentally before the match. The Recovery Routine is going to be much shorter than your pre competitive routine but should basically be focused on three areas. 1. The time immediately following your match where you immediately begin an active recovery focused on breathing and moving. DO NOT sit still. 2. Re warming up and preparing for the next match. 3. Immediately before your next match you check back in mentally and ensure your arousal control is correct. Body language is extremely important for these steps. Make yourself Think, Act, and Feel like you want to in the next match. So, the take away for this is that your routine will be somewhat specific to you and your task, will control your arousal levels to bring them into your optimal zones, and will prepare you to compete and re prepare you for your next match with little decline in performance from training to competition.